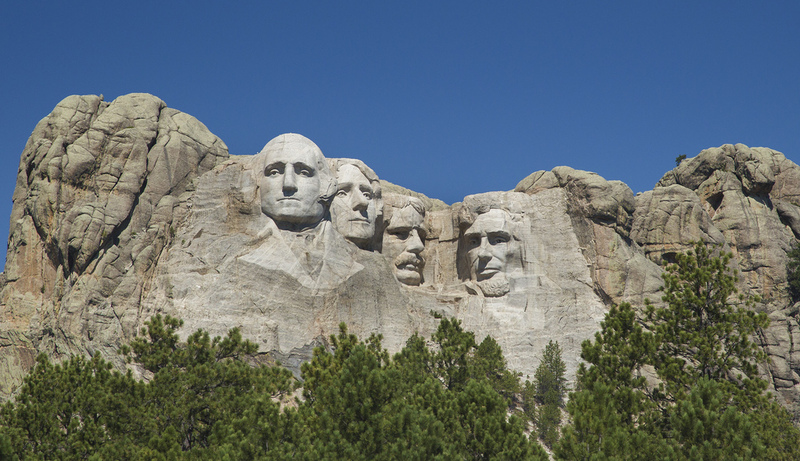 Carved from a Black Hills peak, Mount Rushmore National Memorial displays 60-foot granite faces of the four presidents. It embodies 120 years of U.S. history and stands as a symbol of democracy worldwide. Mt Rushmore is open year round with free admission. A small parking fee is required for a parking pass which is good all year.